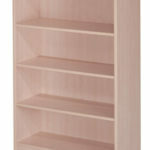 Tall or short, Golden State Office Furniture carries bookcases in 3 heights, to fit any size office space. 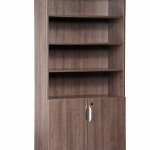 Available in a variety of wood finishes, you can choose a finish that matches the rest of your office furniture. 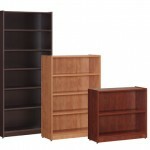 The office bookcases are also available in a variety of colors. Line your walls with office bookcases so that every book may have its place on an adjustable multi-shelf option bookcase.